This functionality is available only to nextgis.com Mini and Premium users. 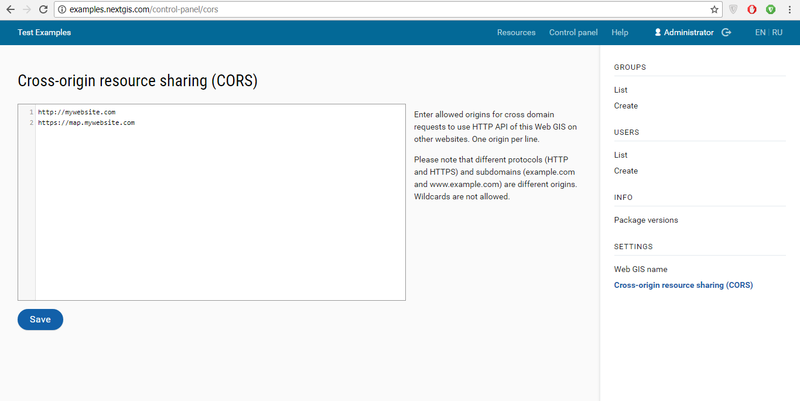 If you’re a developer and would like to use your Web GIS as a backend for your own map or an app, you can switch on and set up CORS. This mode allows to use data from Web GIS for a map or system on your ogranization’s domain, while all geodata uploads and management pains will be taken care of by your Web GIS at nextgis.com.